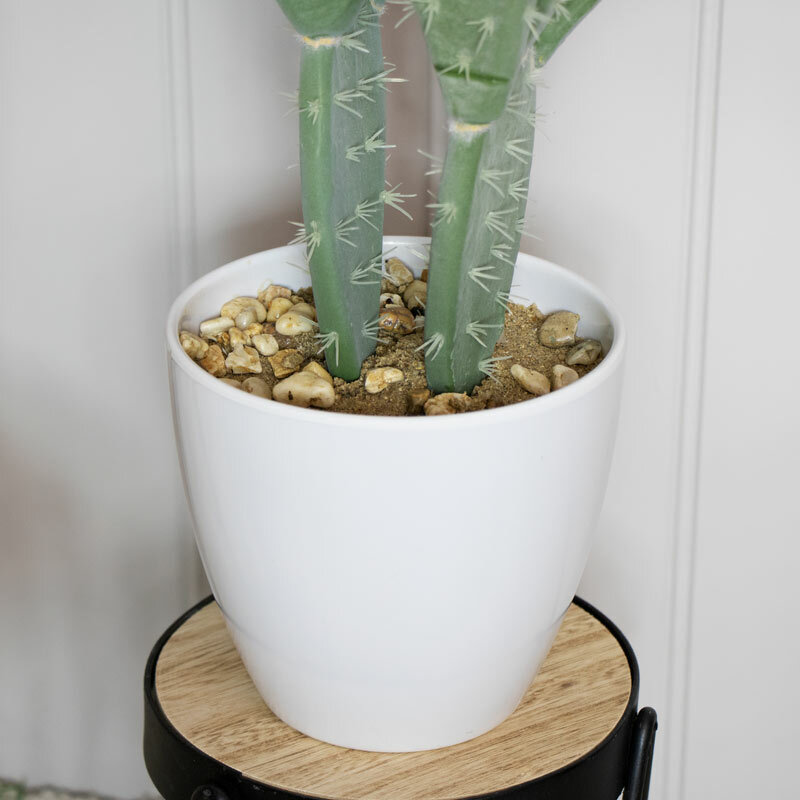 Bring a bit of nature indoors with this tall faux cactus plant. 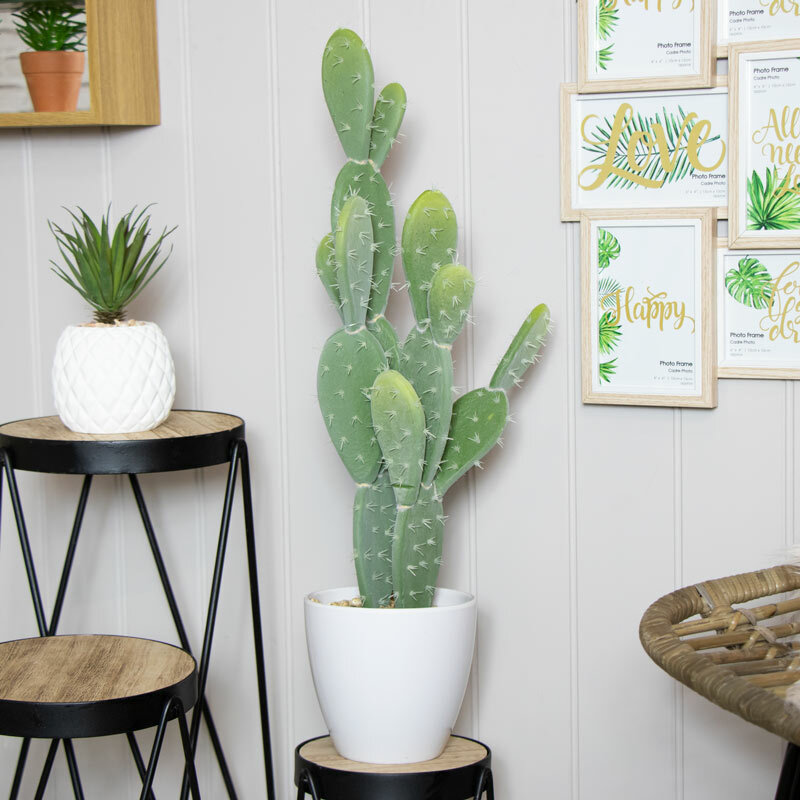 This prickly pear is just perfect for brightening up your decor with a realistic look that requires no maintenance and will add a stylish look to any decor. 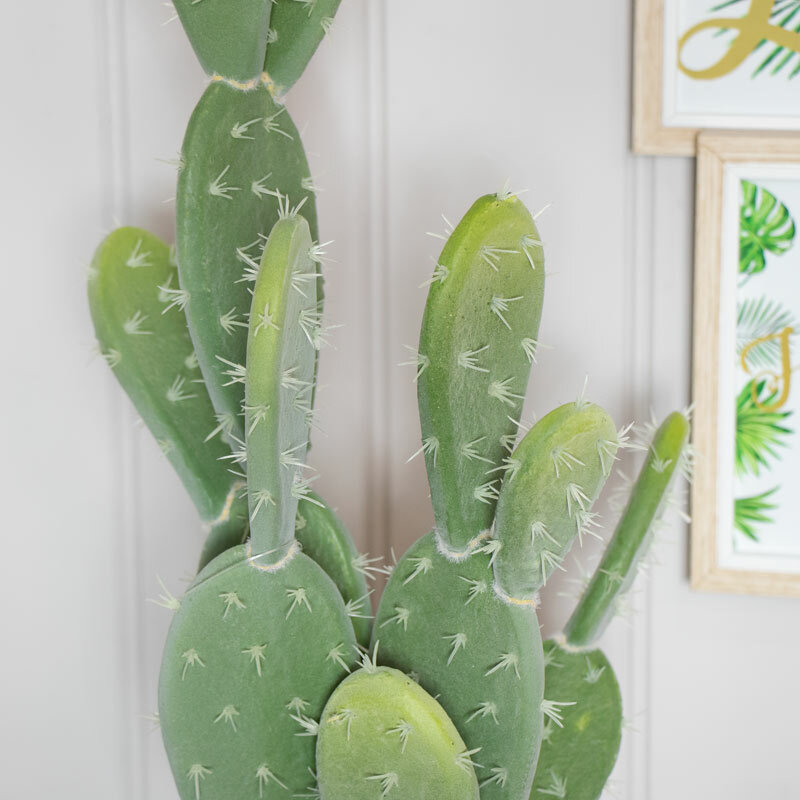 Artificial houseplants are just what you need for adding a green fingered touch to your home decor especially when you haven't got the time for the care required for real plants. Potted in a large white plant pot, this will make a great display piece and can be sat on a plant stand or on the floor. With even more plants and flowers for you to choose from, you can add that stylish finishing touch to your decor. With the cactus made from green foam in a very realistic look sat in white plant pot and filled with pebbles.